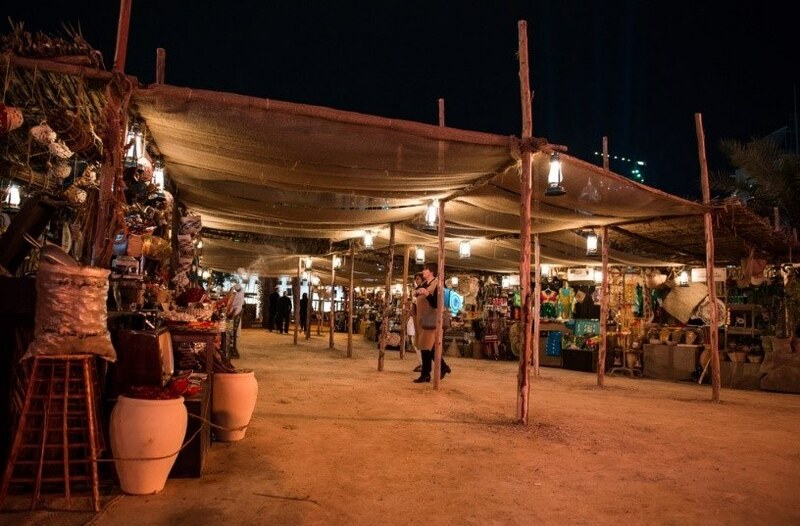 dbnAudile were commissioned by live communication specialist People on behalf of The Abu Dhabi Tourism & Culture Authority, to provide lighting design and on-site lighting direction service for the 2016 Qasr Al Hosn festival. 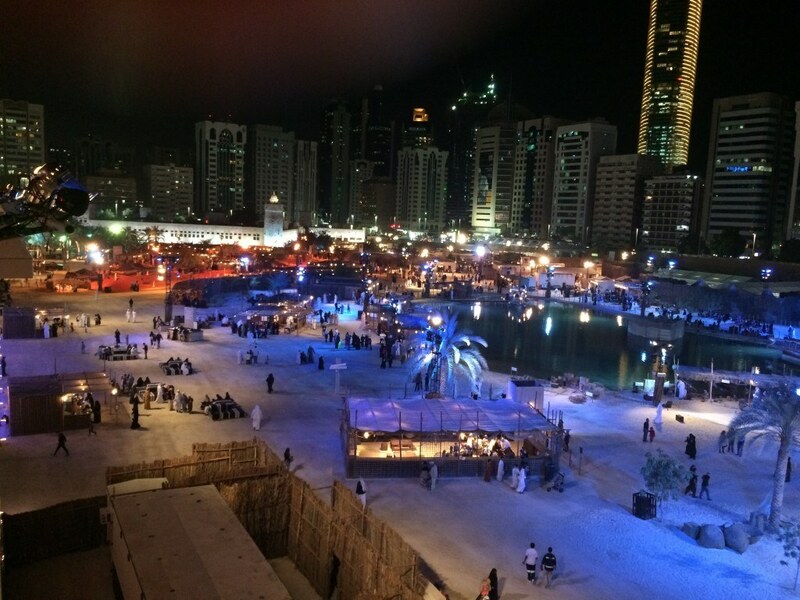 Based around the historic Qasr Al Hosn Fort, the Qasr Al Hosn Festival 2016 welcomed over 130,000 visitors who were able to immerse themselves in an interactive setting exploring and celebrating the culture, art and history of Emirati heritage that has formed the basis for the gleaming modernity and success of the region today. Lead lighting designer Stephen Page and a team of seven designers and on-site LDs from dbnAudile worked closely with Tom Ralston and Jonathan Godsmark from Eclipse Staging Services Dubai, who provided all the lighting, AV, power and rigging equipment for the huge open air interactive experience. dbnAudile’s ambitious task was to design an overall scheme to light the entirety of the site. The final designs required an astonishing 3,900 separate lighting fixtures, together with around 45 kilometres of cabling and 1,200 plus metres of trussing. There were a total of 22 x Dimmer Cities across the site involving 28 lighting dimmer racks and 52 lighting power distros. 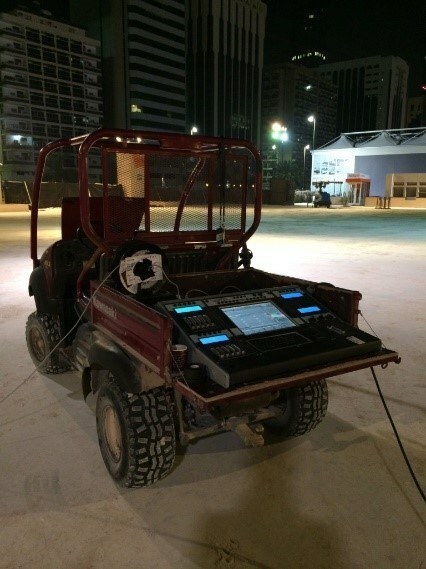 Control for the 24 x DMX universes of lighting required for the main site was from Eclipse’s Jands Vista T2 Console, supported by one of dbnAudile’s Jands D1 processors and additional PC based Vista consoles and wings, all acting as part of a single Vista network. Stephen directed the programming and focus for the whole festival, supported by Nick Buckley and Pete Isherwood, with further assistance from Phil Woodbridge, Paul Crompton and Paul Moloney, all working with an extensive crew of lighting and electrical technicians and riggers from Eclipse. Each element required specific treatment to add atmosphere and dramatic context to the vast range of activities taking place – anything from music, dance, story-telling and poetry – to cookery, agriculture, weaving and sailing – and included a petting zoo and an artificial sea complete with waves! In addition to the creative goals, Stephen had to utilise equipment that was practical to install and maintain in this temporary setting. Each themed area required a discreet approach to enhance the visitor experience whilst incorporating the requirements of multiple live performances, along with practical lighting to support demonstrations and workshops showcasing extremely detailed craft work. 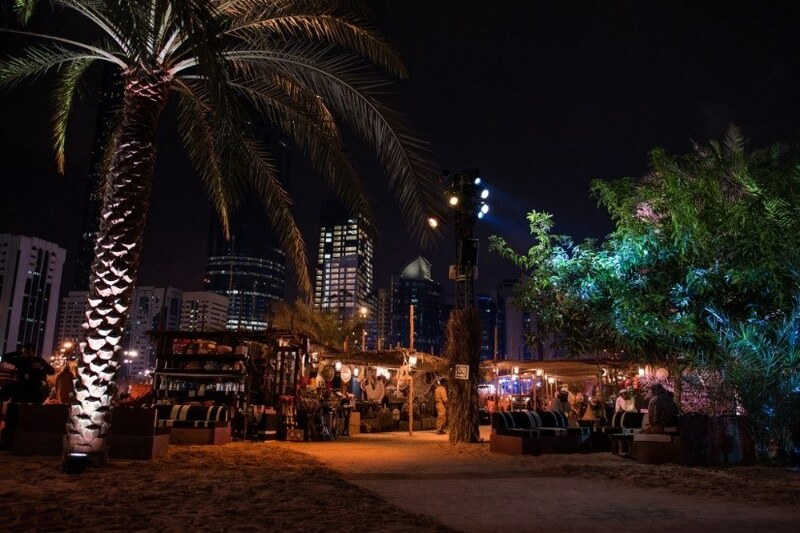 He added that major challenges were the scale of the project – the site covers a whole block of downtown Abu Dhabi – coupled with the diverse range of activity taking place over a protracted period each day, all in the centre of a busy well-lit urban area. "The job of the production is to take visitors on a journey away from the urban bustle of the city, through the nation’s rich history and heritage." A wide range of fixtures were selected from Eclipse’s stock – from a birdie to a Clay Paky Alpha Spot 1500 HPE and everything in between. All were rigged discreetly and concealed in surrounding scenic elements where possible, as well as from the roofs of buildings and a series of over 100 vertical truss masts across the site. Background colour washes for each area were achieved with 120 of SGM’s P5 LED floods, with further layers of texture and colour added from a range of moving lights including Clay Paky Alpha, Sharpy and A.Leda range units; and Mac Viper, Aura, 2K and 700 series fixtures. Finally a full range of generic fixtures was used to highlight specific areas and activities within the overall scheme. The exterior of the fort was floodlit to highlight the sparkle and colour of the traditional coral stone construction, with Sharpy, Sharpy Wash and Super Sharpy fixtures being used to define the towers and outline the architecture of the buildings and walls, as well as to project the outline up into the sky above the site. Phil Wiffen programmed and operated lighting for all the arena shows using his preferred Hog4 Roadhog Console. 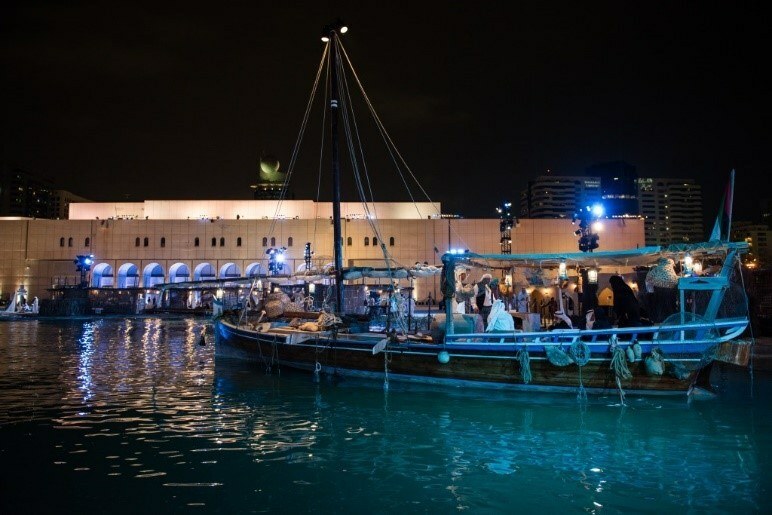 dbnAudile also developed and installed the lighting design for a new permanent exhibition housed in the Qasr Al Hosn Visitor Centre located close by the Fort. 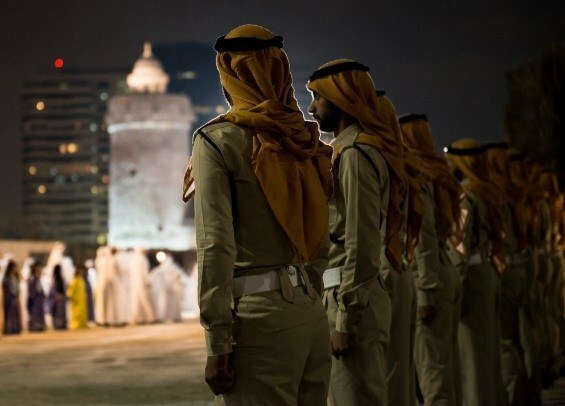 People designed and produced an installation telling the story of Abu Dhabi and its people through the city’s oldest building (Qasr Al Hosn) featuring displays of historic artefacts, fascinating oral testimonies and historic photographs that bring this important monument to life. Nigel Walker, dbnAudile’s Special Projects designer, acted as lead designer for the exhibition area and used a range of ETC and Prolights StudioCOB fixtures to complement Lumenpulse track fittings and bespoke installations of various discreet LED sources built into the structure of the exhibits. Stephen paid compliments to creative agency People, as well as Dubai based AV company Eclipse, both of whom were crucial to the success of the festival. dbnAudile have worked with both on several occasions and have found them to be made up of talented and hard-working people. 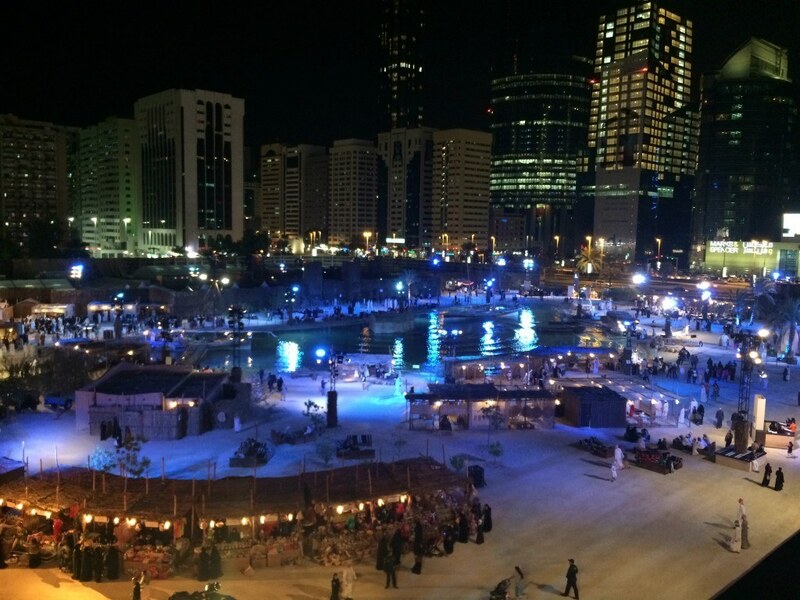 He went on to summarise his thoughts on another exciting year of Qasr Al Hosn.